Pour chicken bone broth into a large pot and bring to a simmer. 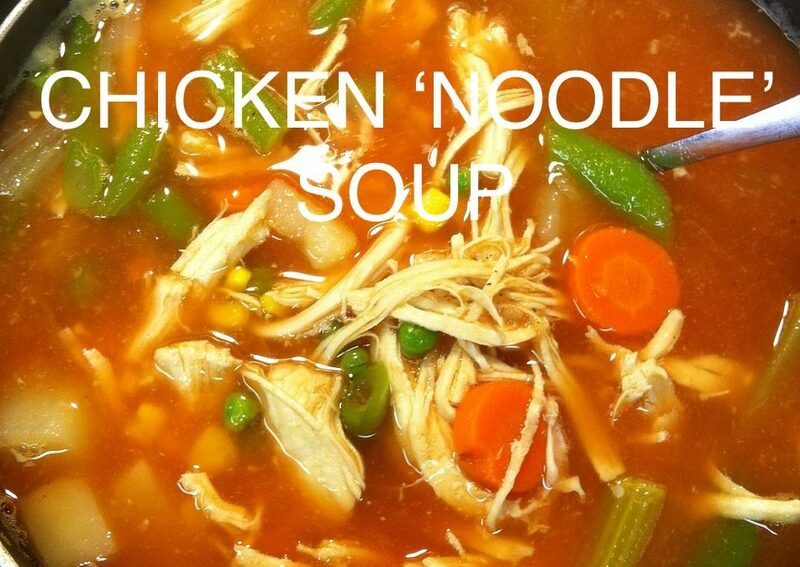 Add chicken breasts, celery, carrots and noodles and cook for about 20 minutes until chicken is cooked through. Using a pair of tongs, remove chicken from the soup and cut into bite-size pieces. Add chicken back to pot. Season soup with sea salt if needed. To serve, ladle into bowls and garnish with green onion. *Kelp noodles are made from from sea kelp. They are high in minerals and of course gluten free! Their unique texture is perfect in salad with thinly sliced vegetables. Served hot in broth, they lose their pleasant crunch, but soften and absorb flavors well.